by Andy Higgs in Home, Iceland. While touring Iceland by car is high on most sane peoples’ bucket lists, it’s easy to be a little apprehensive about the idea of driving in Iceland. The crime series “Trapped” probably didn’t help, but it’s actually very straightforward. It’s also the best way to explore this amazing country as other options are severely limited. Make sure you follow the lawIf you have a driving licence from a major country you can use it in Iceland. Contact your rental company if you are in doubt. Driving is on the right-hand side of the road and seat belts are compulsory for all passengers. Headlights must be on at all times (most newer cars have an automatic setting, but check before you start driving). Don’t even think about drinking before taking the wheel or texting while behind it. Generally the speed limit is 50 km per hour in urban areas, 80 km per hour on gravel, and 90 km per hour on paved highways. To rent a car in in Iceland you need to be at least 20 years of age – for a 4WD vehicle or minibus you have to be at least 23. See also point 3 below. You must have held a valid driver’s license for a minimum of one year at the time of rental. A credit card is mandatory and must be presented upon collection of the car. The majority of vehicles in Iceland have manual transmission, so if you require an automatic make sure you ask for one and be prepared to pay a premium. Do not skimp ion insurance. CDW is usually included in the rate with a range of optional cover available. Consider for example gravel protection if driving on the south coast. If you do have an accident and your car needs to be towed you will have to pay for the recovery service as it is not covered by insurance. Damage to tires, the body of the car, undercarriage or engine is also excluded. Decided whether you need a 4WD or regular car.Most agencies will of course want to sell you a 4WD, but depending on where you are headed a standard (and cheaper) car may suffice. For a summer road trip spent on the Ring Road you don’t need four-wheel drive. In winter you may be okay too if sticking to the Golden Circle route and the Ring Road, but conditions can change fast. Any plans which include the Highlands or visiting in mid-winter should include the rental of a 4WD. If you damage your vehicle while on an “F” road in the Highlands – whether or not you have a 4WD vehicle – you will not be covered by the insurance policy.Driving on these inferior roads is at your own risk. With a few exceptions you shouldn’t need to use these roads anyway. Watch your speed.Regardless of the limit for the stretch of road you are travelling, ease off the gas pedal. Roads are full of blind curves and hills and slowing down is your best bet in avoiding accidents. Single-lane bridges are also common. Watch out for sheep.Livestock don’t follow the rules of the road and can often be encountered in the middle of one. If you hit a sheep you’ll be paying for both the damage to the car and the dead beast. Don’t drive on less than half a tank.It may be overkill but it’s a good idea to fill the car when the level drops below half. Away from the capital petrol stations may be some distance apart – many are unmanned, too, requiring the use of a credit or debit card. Fuel is expensive but there is no difference in price between petrol and diesel. Visit Iceland out of season.You can save a packet if you avoid the peak season between May and the beginning of September. Shop around, too – as well as the major operators you will find smaller local firms that offer better deals. Think about renting a campervan.Yes, it costs a lot more than a regular car but you save a small fortune on hotel bills. 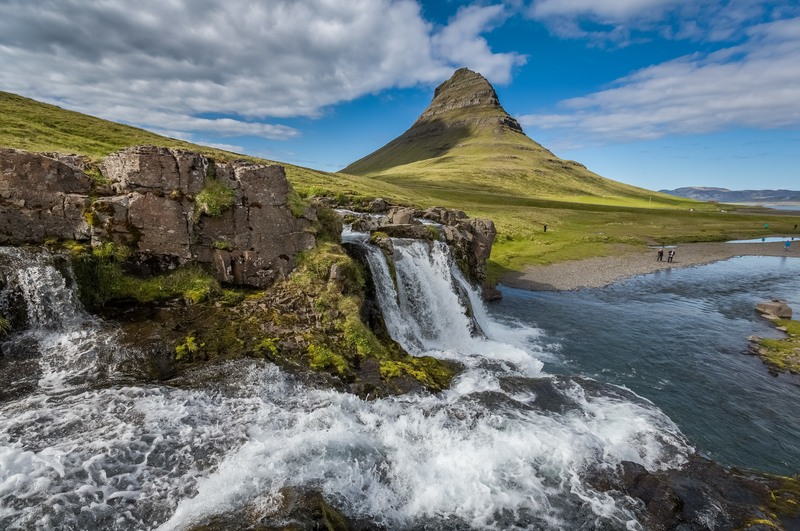 Iceland has plenty of campsites with good facilities and the feeling of independence is hard to beat. Be careful opening car door in storms.If a 50 metre-per-second gust hits your car door, you won’t be getting it closed again in a hurry. Know where to park.Happily most parking spaces in the countryside are free. In Reykjavík and Akureyri you are likely to have to pay – if there is a meter, you do. There are four parking zones in Reykjavík; the closer you are to the downtown area, the higher the rate. Book your car rental in advance.This is a particularly good idea for the summer and if you are after a particular car. Keep an eye on the weather and follow the forecast.If you are not used to driving on snow and ice then don’t plan a road trip in the Icelandic winter. 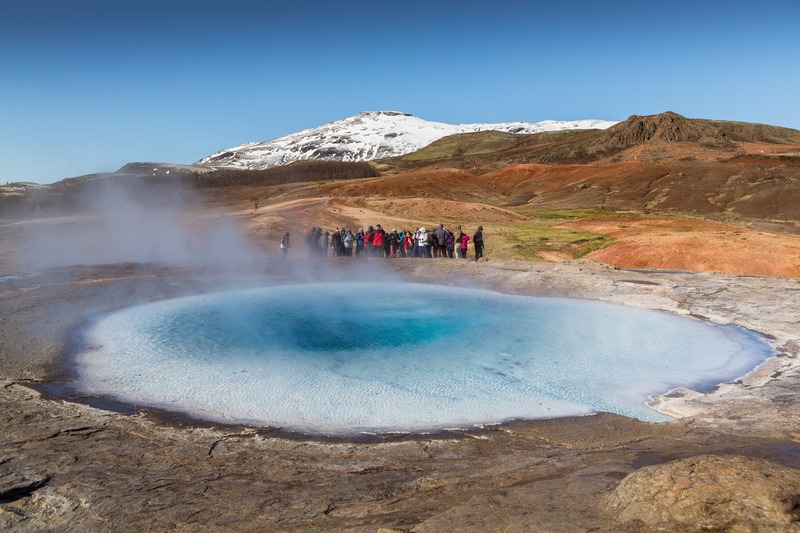 If you keep these 14 tips in mind, you will have a spectacular time on the road in Iceland!